These enchiladas are my go-to week night meal, we enjoy them as a family at-least once a week! It's a meal that everyone loves, even the pickiest of eaters! In a large mixing bowl, combine about 2 cups of shredded chicken from your rotisserie chicken. Add in your block of cream cheese, 1 cup of shredded cheese and 1/2 a cup of thick & chunky salsa. Stir, stir, stir, set aside. In a small mixing bowl, combine 1 cup of yogurt and 1/2 a cup of salsa and blend well. Take each tortilla and spread a spoonful of chicken mixture onto your tortilla, smooth out & roll up. Repeat until you've used all of the tortillas. Top lightly with the yogurt & salsa mix from the small bowl. Sprinkle cheese on top and place in the oven. I used an 11x15 glass baking dish for my enchiladas and cooked them at 350 degrees for about 10-12 minutes or until cheese is melted and tortillas start to crisp on the ends. This looks like a great recipe! Thanks so much for sharing! 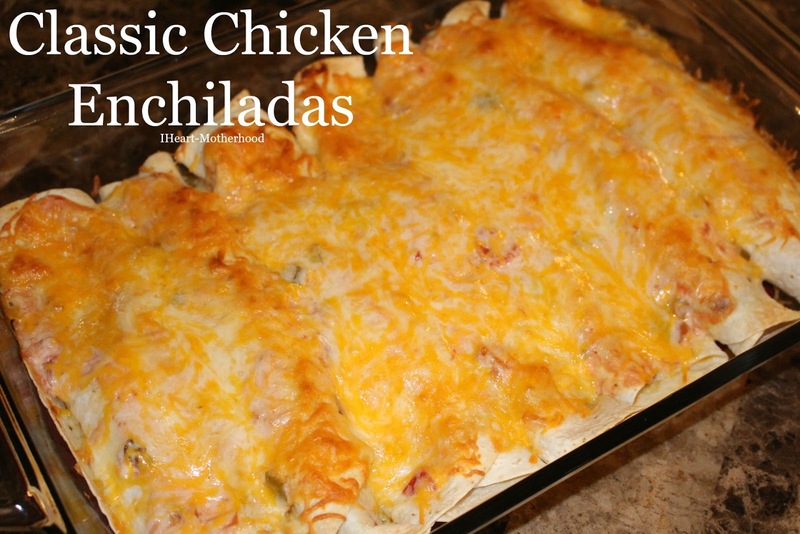 I know that I would love this recipe, but unfortunately my husband does not,Ike to combine chicken and cheese. Perhaps I shall try a smaller version for myself. This looks delicious.Thanks for sharing..I will be making SOON! Those look super delicious. It's been a while since I've had enchiladas. I'm going to print this recipe out and try it.